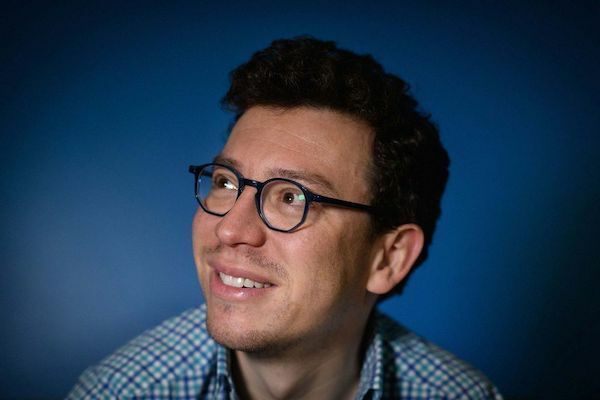 ReCaptcha inventor Luis von Ahn introduced Duolingo in 2012, hoping to help users master a new language. In minutes a day, the app promised, you could learn English, Spanish, French, or German—no books required, no instructors. And all for free. The pitch sounded convincing enough. But in the first year after its debut, Duolingo had a hard time persuading hopeful linguists to keep up with the lessons. For every eight users who downloaded and tried Duolingo, seven never returned. So von Ahn set out with his developers to make the app as addictive as Candy Crush and other popular games—in a good way. The addiction Duolingo cultivates, he says, isn’t harmful in the way the World Health Organization says compulsive video-game playing is; the organization classifies excessive video-gaming alongside opioid or amphetamine abuse. Duolingo really is about self-improvement, von Ahn says—time otherwise spent playing games, on social media, or doing nothing, is applied to developing a skill. What’s so bad about that? Good or bad, Duolingo’s addiction rate is way up. Next-day retention is 55 percent, up from 13 percent in 2012. “That’s about as good as a middle-of-the-road game,” von Ahn says. And with about 300 million users, Duolingo is the largest language-teaching company in the world, by user base. The growth has attracted investors. Since 2012, von Ahn has raised $108.3 million from Union Square Ventures, Kleiner Perkins Caufield & Byers, and Google Capital, among others. Duolingo’s valuation is now $700 million. Changes and upgrades—and more than two dozen additional languages—have been introduced along the way, including a rollout in April of a home screen design that highlights Duolingo’s new “Levels,” lessons for both casual and committed learners. Users achieve successively higher rankings by repeating already-completed language exercises. The company has tapped into the latest research from behavioral scientists such as Angela Duckworth, an expert on self-control, and cadged ideas from game makers, who, von Ahn says, “have nailed down behavioral addiction really well.” One copied technique, “appointment mechanics,” encourages users to keep returning by rewarding streaks of uninterrupted daily practice with jewels that can be traded for in-game rewards. At Duolingo, Mazal says, he and his team rely as much on human intuition as on hard data. Employees are encouraged to play games on the job and to consider and test features of those games that could apply to Duolingo. If tests on small user groups prove successful, the feature is rolled out across all platforms—a desktop version and mobile versions for Android, Apple, and Windows. The recently introduced Levels, for instance, was inspired by a similar feature in a game called Clash Royale in which players’ armies battle to destroy one another’s towers. With each iteration, Duolingo’s machine-learning algorithms sift through user data to help maximize language-learning efficacy. In 2018 the company pushed to boost revenue from its three main sources: ads that run in the app; $9.99 per month premium subscriptions that let users avoid seeing ads; and English proficiency tests for non-native speakers, which cost $49 and are administered via a separate desktop program. The company grossed $30 million to $40 million in 2018, a spokeswoman says—a figure that still lags behind competitor Rosetta Stone, which reported $42.8 million in revenue for the third quarter of 2018. Von Ahn expects to achieve profitability in 2019 and to take Duolingo public when revenue hits $100 million, possibly in two or three years. BOTTOM LINE – Duolingo’s von Ahn says getting hooked on a language app is an exercise in self-improvement and not as harmful a habit as obsessively playing the games his app is modeled on.